If you're a Smurf fan, you're going to like the news we have for आप today. Since The Smurfs has established itself as one of the summer's hits, triumphing over higher-profile fare like Cowboys & Aliens, Sony Pictures is moving आगे with a sequel! 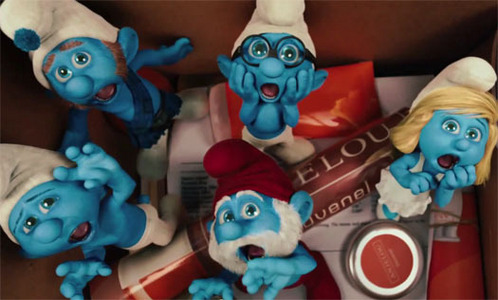 The plan is a release तारीख, दिनांक of August 2, 2013 for The Smurfs 2.
a pop quiz question जोड़ा गया था: NEIN! NEIN! NEIN! NEIN! NEIN! NEIN! a poll जोड़ा गया था: who is better? Who's the oldest out of all the Smurfs?